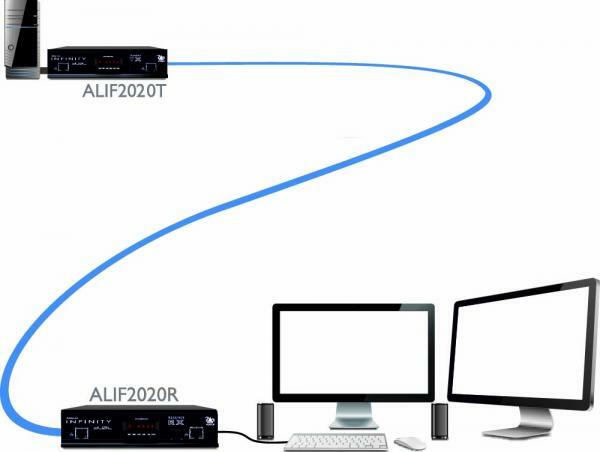 Adder ALIF2020P is a high performance Dual-monitor single-link DVI, USB and Audio KVM Extender / Matrix Switch solution including a Adder ALIF2020T Transmitter and a ALIF2020R Receiver. 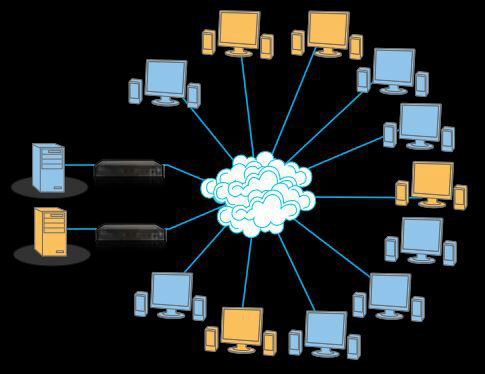 Part of the ADDERLink INFINITY series, the ADDERLink Infinity Dual 2020 is a high performance KVM solution that enables you to locate your critical computing hardware in a secure and temperature controlled environment, isolated from the user work station. 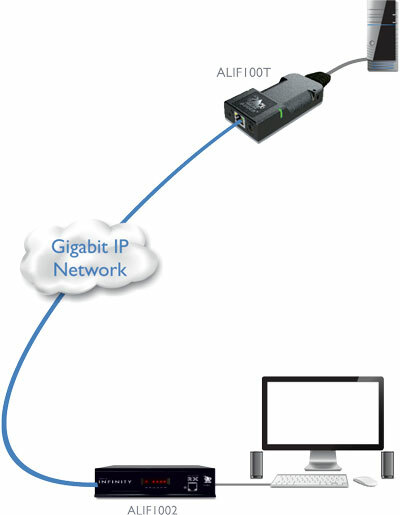 Configurable as a single link or dual head at a maximum of 1920 x 1200 at 60Hz, this extender provides an 'at-the-PC' experience up to 6.21mi (10km) via interchangeable CatX and Fiber SFP modules. This KVM extender can be used as a point-to-point extender, or integrated into a wider matrix system when combined with the ADDERLink INFINITY Manager (A.I.M.). Uncompressed video extension and pixel perfect digital video up to 24 bits per color at a maximum of 1920x1200 over 60hz with real time control. Using a spatially-lossless encoding system, with 1:1 pixel mapping, AdderLink Infinity provides pixel perfect and color accurate video with no artefacts. 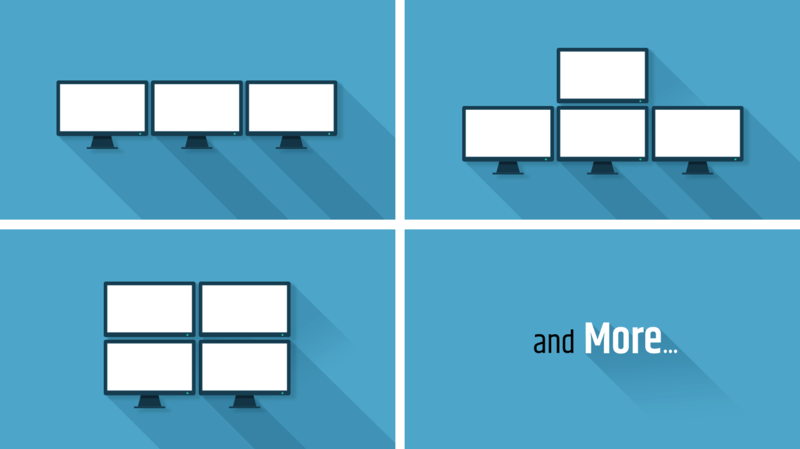 The digital video you receive is the same as the digital video leaving the remote computer. 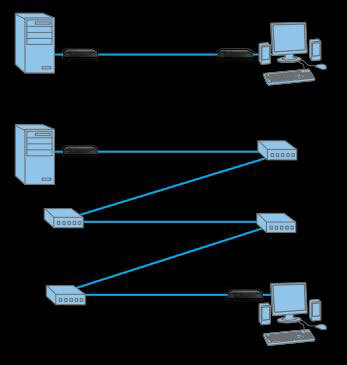 The AdderLink Infinity units were designed from the outset around a highly robust signaling method. This vital core asset is what gives you the freedom to use the full variety of cable links that you typically find within an average structured cabling system. 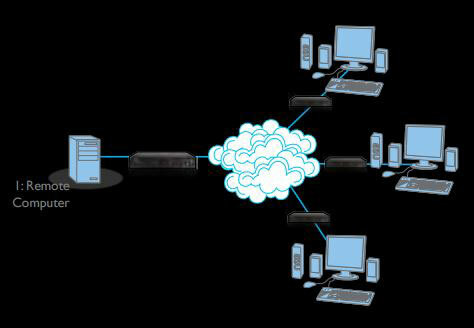 The result is that you can achieve reliable links, regardless of whether the cables are CAT5e, CAT6 or CAT7. 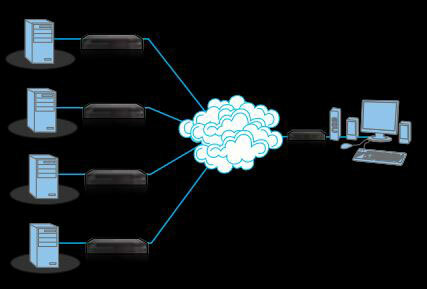 The AdderLink Infinity dual 2020 also offers the option of up to 6.21mi (10km) distances with fiber. Some graphics cards use a technique called dithering to give the appearance of a deeper color depth than is actually the case. 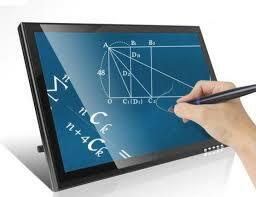 As a result, dithering can significantly increase the normal video data rates. 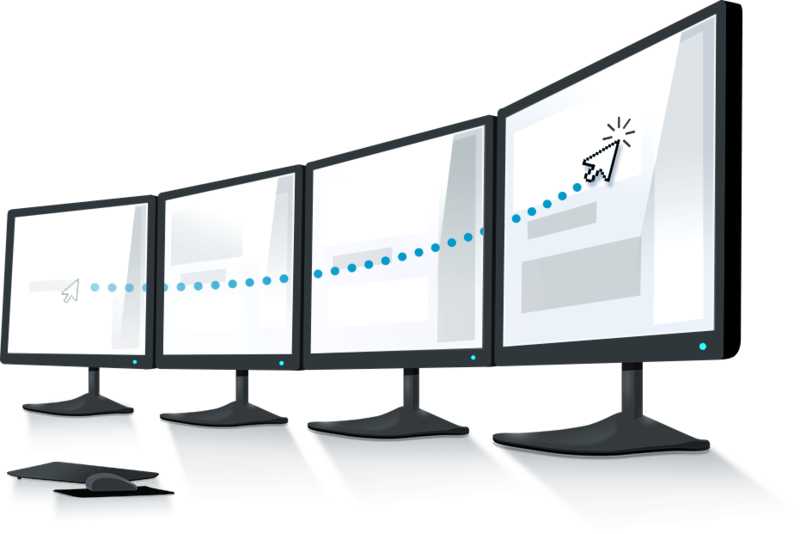 ALIF2020T has a feature called Magic Eye which supports dithering without allowing it to degrade overall link performance. 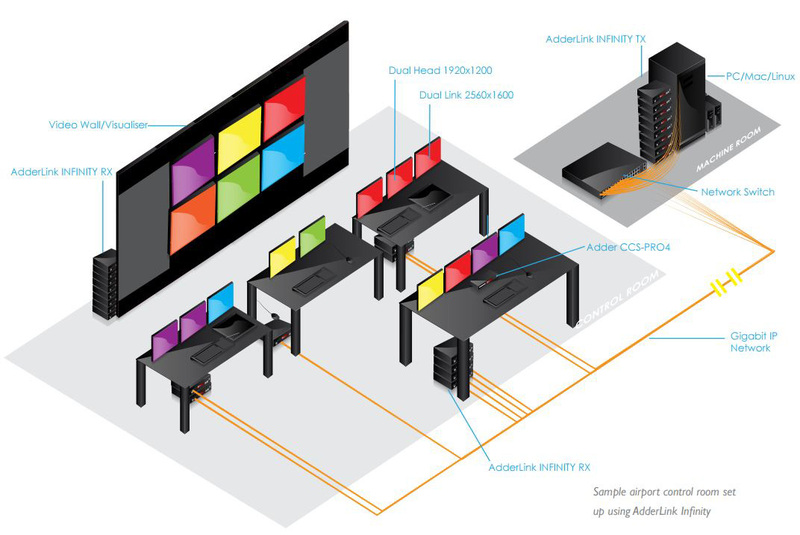 Adder Infinity Dual 2020 units can be rack mounted (1 unit in 1U with RMK4S, or 2 units side-by-side in 1U with RMK4D-R2), left on a desktop, wall mounted (RMKV4), or attached to the back of your monitor using a VESA mounting carriage (RMKV4). 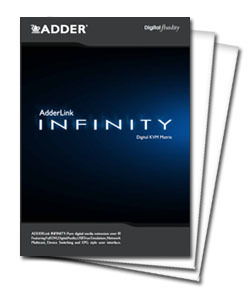 In its simplest form, you can use the ADDERLink INFINITY Dual 2020 as a point-to-point extender. Simply connect a transmitter to an receiver using CAT6 cable up to 330ft (100m) in length. The Adder INFINITY Dual 2020 also offers the option of up to 6.21mi (10km) distances with fiber, via optional fiber SFP modules. This will deliver video, Audio, USB and serial in perfect quality across much greater extension distances over traditional CatX cables. Transmitter 2 x DVI-D, audio 3.5mm in, audio 3.5mm out, USB type B, RS232 9-pin D-type 1 x 8p8c and 1 x SFP for AdderLink Infinity network connections. Receiver 2 x DVI-D, audio 3.5mm in, audio 3.5mm out, 4 x USB type A, RS232 9-pin D-type 1 x 8p8c and 1 x SFP for AdderLink Infinity network connections. Specs 2.5mm DC jack (power adapter included),100-240VAC 50/60Hz, 0.8A, input to power adapter. 5VDC 20W output from power adapter. This part is also known as Adder ALIF2020P-US, ALIF 2020P, and ALIF-2020P.